from The Louisiana Coalition against Racism and Nazism, the multi-racial, multi-religious group that led the opposition to neo-Nazi and former Klansman David Duke during his gubernatorial bid in 1991.The Institute was founded in 1993 by Dr. Lance Hill, Dr. Lawrence Powell, Saul Mintz, Fletcher Thorne-Thompson, and Eamon Kelly, president of Tulane University. Plater Robinson, architect of our Holocaust education program, came on board that same year. In the autumn of 1993, we began to travel across the Deep South, from cities to small towns, conducting workshops for teachers on the history of the Second World War and the Holocaust. In these workshops, based on the interviews we conducted in this country and in Eastern and Central Europe, we explored the major events of the Hitler time as well as the lightness and darkness of human nature. Here in the Deep South, with its own tortured history, Europe’s example of human destruction has a loud echo. 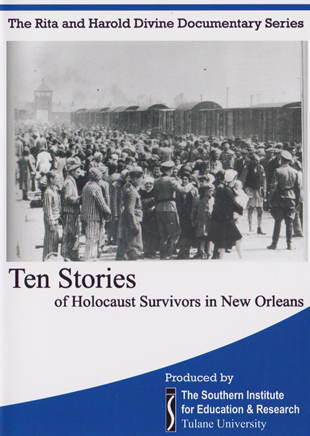 After the war, a number of Holocaust survivors immigrated to the United States and settled in New Orleans. Local Jews, mostly of German background, weren’t always receptive, particularly towards the East European Jews. The survivors worked hard and raised their families. They didn’t talk about the past, and nobody asked. The Eichmann trial in 1961 brought the memories to the surface. That same year George Lincoln Rockwell of the American Nazi Party came to New Orleans on a “hate ride” (imitating the Freedom Riders). The survivors met at Ralph Rosenblatt’s butcher shop and planned a response. 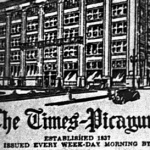 When Rockwell and his 12 “storm troopers” staged a protest of the movie Exodus, playing at the Civic Theater in downtown New Orleans, the survivors came ambling down the street. They were armed with baseball bats, iron bars, and rage. In the nick of time, the police intervened and the neo-Nazis were carted off to jail. From this incident was born the New Americans Social Club. The Club gave the survivors an opportunity to socialize (and to argue) and their children the emotional bond of an extended family. In 1989, on the 50th anniversary of World War II, the survivors were again enraged when yet another Holocaust denier appeared on the scene. David Duke, neo-Nazi and former Klansman, was elected to the Louisiana legislature. 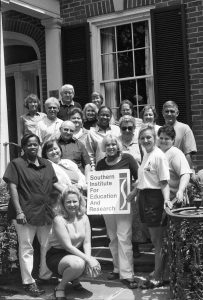 The survivors were ready to talk, and the Southern Institute was ready to listen. 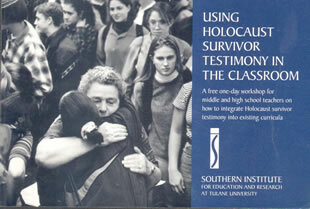 Over time we developed a curriculum based on the experiences of ten survivors, produced the documentary series Stories of Ten Holocaust Survivors in New Orleans, and conducted a five day workshop every summer that focused on the survivors and equipped teachers to become couriers of their memories. Except for the sisters Anne and Lila, our survivors didn’t know each other before the war, but they certainly emerged from it with a lot in common. In this section, we explore the themes that are woven into the experiences of our survivors. Seven were born in Poland. Five recalled their lives before the war. Eight offered accounts of the beginning of the war and the first acts of German terror. Eight survived the Nazi ghettos. Three were “hidden children.” Seven received help from Christians. Four described acts of resistance. Two were slaves at Auschwitz-Birkenau in the summer of 1944. Three emphasize the importance of friendship. Seven were liberated by the Russians. Nine described the moment of liberation, and four the disheartening return home. Seven of our survivors lost every member of their family. Five explained how the war affected their faith in God. Eight talked about starting all over again with nothing and nobody. All of our survivors had Poland in common. Here the Nazis perpetrated the Holocaust, and here the families of our survivors were murdered. Our survivors entrusted us with a trove of personal items that we call Fragments Left Behind. The items include letters, documents, and photographs. Each tells a story. On November 24, 1942, Sumner Welles of the State Department informed Rabbi Stephen Wise that his worst fears were justified. “The State Department finally made available today the documents which have confirmed the stories and rumors of Jewish extermination in all Hitler-ruled Europe,” Dr. Wise announced at a press conference later that day. This was the first recognition by the U. S. government that the systematic murder of all the Jews was underway. The New York Times, the “most important newspaper” in the country, “buried” this news on page 10. Two other articles on that page, however, revealed accurate details about the slaughter of Jews. What were those details? 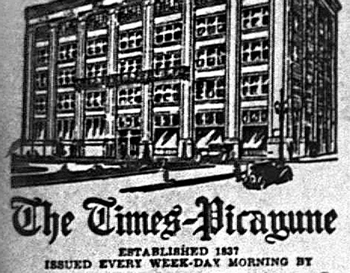 What information was available to the country’s leading newspaper as of November 25, 1942? Liselotte Levy Weil was born in Neuwied-on-the-Rhine, Germany, in 1921, a time of political chaos and raging inflation that followed a lost war. Hers is the story of a proud German-Jewish family that was betrayed by the nation it admired and served. Her father, awarded the Iron Cross in World War I, was fatally beaten on Kristallnacht. Hers is also the story of America’s refugee policy in the 1930s and 1940s. 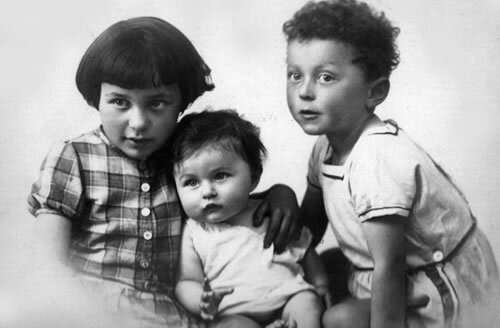 Through the extraordinary efforts of (second) cousins named Greenwald, Liselotte and her younger brother Leo immigrated to the United States in January 1939, leaving behind their mother (Mutti) and younger sister Margot (12 years old). Liselotte lived with Amelia Greenwald, 58, in Eunice, a small town in the heart of Cajun Louisiana. Aunt Amelia was a remarkable person. 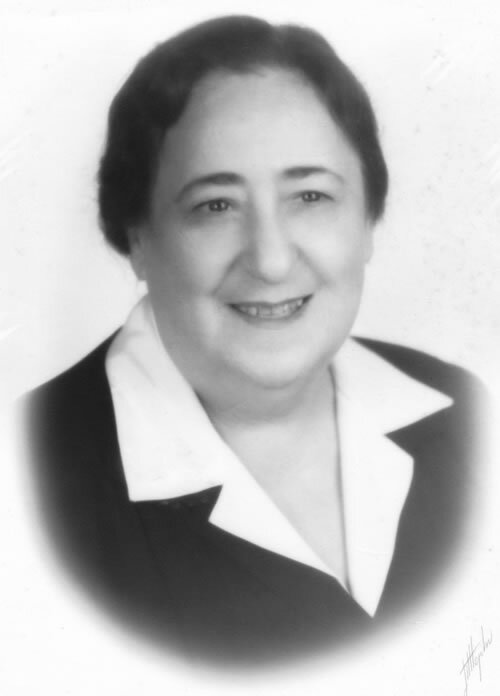 She had recently retired from a career in nursing that took her to Verdun, Warsaw, and Jerusalem, and won her the sobriquet “the Jewish Florence Nightingale.” In 1937, at age 56, she opened the dress shop La Vogue in Eunice, thinking she would have time to write her memoirs. Liselotte went right to work at La Vogue. Two years later, in early 1941, the relatives who rescued Liselotte and Leo from the Nazis balked at the exorbitant cost of bringing over Mutti and Margot, who were deported to Nazi-occupied Poland in March 1942 and murdered. Governed by silence, Liselotte spent the next forty years with the relatives who had saved her and Leo but not her mother and sister. In addition to Eunice and Winnsboro in Louisiana, Liselotte had relatives in Meridian, Mississippi. In the years leading up to the war, what information about Hitler and the Jews was reported in the newspapers of those three towns? We include a selection of articles (1938-1939) from The New Era (Eunice), The Franklin Sun (Winnsboro), and The Meridian Star. How to use this: engage students in a project of interviewing older members of their community and of their family.